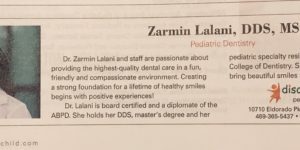 Dr. Zarmin Lalani and her team at Discovery Kids Pediatric Dentistry in Frisco, Texas, offers comprehensive dental services for children in Frisco, McKinney and the surrounding metroplex. 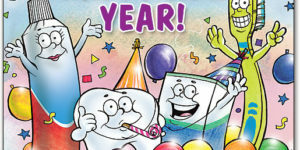 Discovery Kids Pediatric Dentistry puts an emphasis on prevention. We want to help your children’s smiles stay healthy and beautiful, from their very first tooth all the way through their teen years. 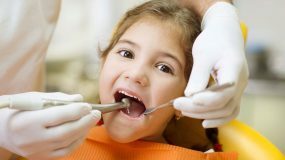 You child will have access to the safest and most advanced technology by a highly trained and experienced children’s dentist and pediatric dental staff who specialize in providing every child with a positive, successful dental visit. Your child will receive the highest level of care, from a simple examination and teeth cleaning to complex oral surgery and restorative care. Our family-oriented team are dedicated to providing your child with the most compassionate care. Discovery Kids Pediatric Dentistry encourages parents to focus on preventative care, but we know that things happen. Decay can occur even if you take care of your child’s teeth, teeth can break or get knocked out on the school playground, and we find that dental restoration becomes necessary. 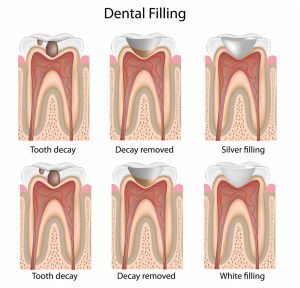 Tooth-colored Fillings: Fillings are the treatment for dental cavities. 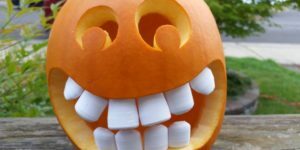 If a cavity is present, it can be fixed with a tooth-colored filling to restore an esthetic and healthy smile. 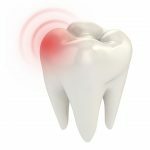 Dental Crowns: If a tooth is too decayed, or if the tooth is compromised due to trauma or disease, a dental crown is sometimes the best option. Dental crowns are created to fit over the entire tooth to protect from any further decay or damage. Space Maintainers: Space maintainers are used when a baby molar is lost too early. This space maintainer will ensure that the adult molar has room to grow in. Otherwise, your child’s teeth may shift around the empty space, causing crowding or other orthodontic issues. 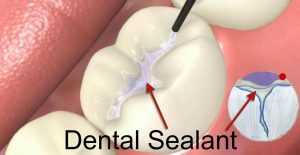 Dental sealants protect the grooves and pits on the chewing surfaces of teeth, mainly the molars to prevent cavities. Over 75% of cavities and tooth decay form in these hard to clean grooves in the back molars.The American Academy of Pediatric Dentistry states that sealants can reduce cavities by 80-90% with adequate follow-up and maintenance. Dental sealants coat and protect these areas by sealing off the deeper grooves. This provides a smoother surface, which is much easier to clean. Children who are just learning how to brush their own teeth may not do a great job at getting into all the grooves and pits of their teeth. Sealants can protect the teeth while children get better at brushing on their own. We can apply sealants as soon as your child’s six-year molars appear. If a child or adult suffers from weak enamel and is especially susceptible to cavities and tooth decay, sealants can help protect the teeth. Here at Discovery Kids Pediatric Dentistry, all of our sealants are BPA free! Traditional sealants contain BPA, or bisphenol A, which is a harmful industrial chemical and can be dangerous for kids. We make your child’s safety our top priority! Our BPA-free sealants will strengthen your child’s teeth without endangering their well being. If your child plays sports or suffers from bruxism (nighttime grinding or clenching of teeth), Dr. Lalani can create a custom mouth guards for dental protection to prevent damage to the teeth, mouth, and jaw. Also known as sports guards, these appliances fit over the upper teeth, cushioning the jaws against one another to prevent injury. Going without a sports guard can risk both the health and the appearance of your child’s smile. 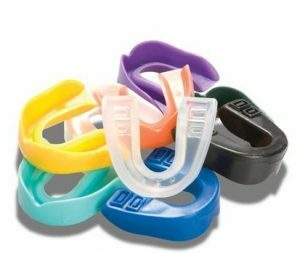 How Mouth Guards Can Help? Along with the American Academy of Pediatric Dentistry, we here at Discovery Kids Pediatric Dentistry recommend that a mouth guard be worn during any recreational or sporting activity. In addition to sporting activities, children who exhibit signs of bruxism should also wear a mouth guard to bed. 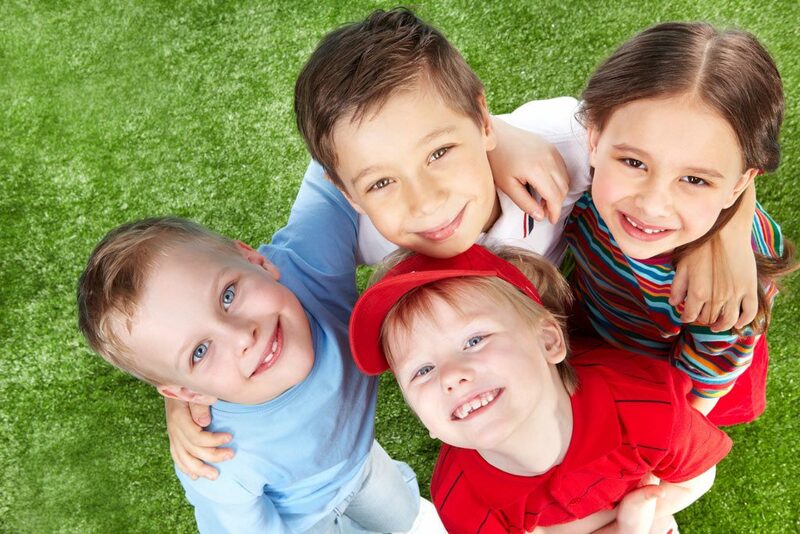 At Discovery Kids Pediatric Dentistry, we realize each child is different. We want to make each child feel comfortable and alleviate their anxiety so that we can take care of them in a safe manner. We are trained to work specifically with children, including those with severe dental anxiety or special needs such as autism or Down syndrome. 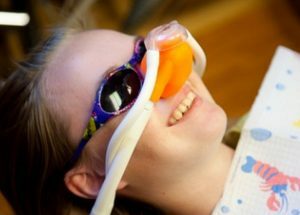 We offer many different sedation options for small or large procedures, depending on your child’s anxiety level. If your child needs assistance to decrease anxiety and have a pleasant experience, Dr. Lalani will discuss the method that best suits your child’s needs. Dr. Zarmin Lalani uses the most advanced digital dental X-ray technology to minimize the amount of radiation exposure during your child’s dental x-rays. Dr. Lalani applies the ALRA principle, which stands for “As Low As Reasonably Achievable.” When weighing the cost vs benefit, always try to minimize your child’s exposure to x-rays as much as you can, but be aware there likely will be times where x-rays are necessary and beneficial. 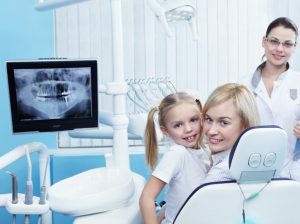 There are many reasons your child may need a dental X-ray at our office. 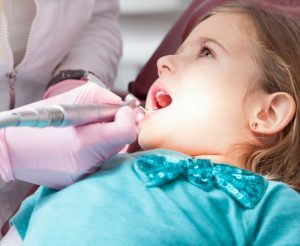 Dr. Zarmin Lalani and our skilled dental hygienists use the information from your child’s X-ray to identify and address any concerns. Digital X-rays are the latest in dental X-ray technology. This form of radiography uses an electronic sensor instead of outdated X-ray film. This image is then stored on a computer and can be instantly viewed and enlarged. 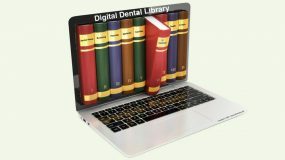 Digital X-rays reduce radiation up to 90% when compared to traditional dental X-rays. So not only are digital X-rays easier and more comfortable for your child, but they’re safer as well. How often do dental x-rays need to be taken? The answer to this question is based on each child’s individual needs. X-rays are recommended based on your child’s history, the age of the child, and any symptoms he or she may be experiencing. Like anything else, early detection of any orthodontic problems (or even potential problems) can be beneficial to your child in the long run. Here at Discovery Kids Pediatric Dentistry, we make it a normal part of dental cleanings and exams to evaluate any potential orthodontic problems in our young patients. We may even refer you and your child to an orthodontic specialist if needed. 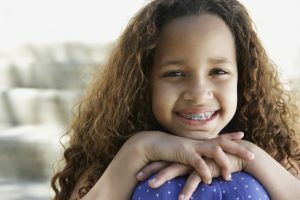 What Are Some Early Orthodontic Problems? Some of the early issues that may need an orthodontic evaluation include missing teeth, too many teeth, crowded teeth, and jaws that may be out of alignment. Most of the time these are genetic problems, but others can be caused by bad habits such as thumb sucking, or by accidents that result in losing baby teeth too soon. 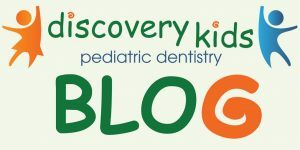 If you have any concerns about your child’s tooth or jaw development and you would like them to have an orthodontic evaluation, please contact Discovery Kids Pediatric Dentistry located in Frisco, TX today. Pacifier use and thumb sucking are natural coping mechanisms for babies and young children which, when extended into the pre-school years or longer, often cause concerns for parents about the potential harm to their child’s teeth and general oral health. While the use of a pacifier or the habit of thumb or finger sucking can be adorable and help your child self-soothe, it can be a damaging habit. Thumb sucking and pacifiers can create open bites and cause other occlusion problems in your child, so it’s important to make sure your child’s dentist is aware of these habits. According to the American Dental Association, your child should outgrow thumb or finger sucking habits between the ages of 2 and 4. However, if the habit persists past that age, it can begin to damage the teeth, jaws, or face shape. There are many tried and true methods you can use to help your child break his or her thumb or finger sucking habits. However, if you find that these methods aren’t working for your child and the habit persists, we here at Discovery Kids Pediatric Dentistry can help. Dr. Zarmin Lalani is experienced in helping children break these harmful habits with the use of habit appliances. A habit appliance is worn on the upper teeth and will prevent the fingers or thumb from finding a comfortable position.This decreases the enjoyment encouraging a child to break the habit. We also know that kids are very rough and tumble, and accidents sometimes happen. Because of this, we’re also experienced in dealing with any dental emergencies that may arise. For more information on our dental services for children that we offer, or to make an appointment at Discovery Kids Pediatric Dentistry, please complete an online appointment request or phone 469-365-5437. Testimonials are very important to us at Discovery Kids Pediatric Dentistry We want to thank you, our valued patient, for taking the time to write a review for our team. We genuinely care about your experience, so please take a moment to review us. HAPPY HALLOWEEN FROM DR Z. & TEAM! 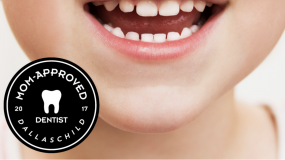 Board Certified Pediatric Dentist serving infants, children and teens in the areas of Frisco, Prosper, McKinney and Celina.